A futures contract is a way to hedge risk and speculate the prices to carry out profitable trading. However, they also have their share of risks associated with them. Futures are financial contracts that bind the seller or the buyer to sell or purchase at a fixed price at a later date. The futures are also known as “ Futures Contract.” The contract has the details of the amount and the quantity of the commodity or shares that are to be traded as per the agreement. Some of the contracts require physical delivery, and some require cash. Every futures has two parties namely the buyer, who takes delivery of the product and the seller, who delivers the product. Futures are an essential part of the trading mechanism of markets. The primary requirement for a futures contract in the stock market is a trading account. The investor has to put affront the margin money, i.e., a percentage of the total contract amount. This amount has to be paid by the investor to the exchange or the clearing house. The margin amount can also be paid to the broker, who will forward it to the clearing house. Place an order with the broker to buy a futures contract. Commodity futures contract is an agreement that requires making or taking delivery of a particular commodity at a future date. The contract is raised based on the speculation of the price rise or fall. If the price rises above the agreed amount, the purchaser will take delivery of the commodity against the agreed price. This helps the purchaser to gain a profit. In case the price goes lower than the contract price, the seller will have the advantage as he gains profit because the contract to pay the price binds the purchaser. The futures contract is settled on the agreed price on the set date. If there is a loss or gain, the purchaser’s account is duly debited or credited for stock market traders. The commodity traders have to take delivery of the commodity and pay the agreed price for the contract to expire. When using a futures contract, there is no need to wait until the completion period. In practice, many traders exit the contract before the stipulated date. Any loss or gain is adjusted against the margin deposited by the trader to the clearing house before purchasing the futures contract. It allows hedging and risk shifting. It gives the future rate of a particular commodity or security. The current price and trend help in calculating the future rate. The system of margin payment is beneficial to small-time traders as they need not pay the whole amount. A futures contract is a way to hedge risk and speculate the prices to carry out profitable trading. However, they also have their share of risks associated with them. Before availing it, consult a broker or an expert to determine whether the particular contract is beneficial. 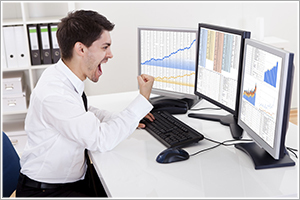 Also, ensure that it is a prudent step as understanding futures can help in the long run to earn a sizeable profit.